Every worksite that handles fuel drums regularly wants to find economical solutions for speeding up projects without sacrificing on safety and knows that having the right equipment for the job is essential to a quick and safe result. 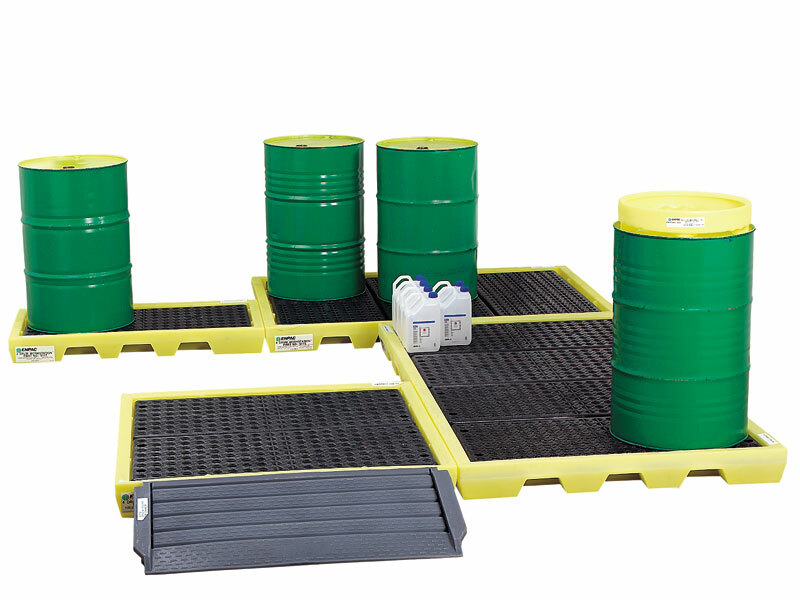 The Work-Floor Sump Modules are handy units offered by The Workplace Depot to assist crews with catching and containing incidental spills. 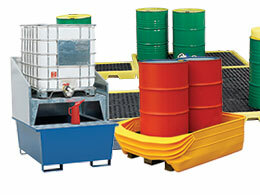 What is The Purpose of the Work-Floor Sump Modules? This product becomes part of your worksite’s factory floor, optimizing space and featuring ample sump capacities to take care of accidental leaks and spills. The heavy-duty non-corrosive units come in four different sizes and are designed to provide a safe and sturdy way to manage hazardous spill situations. We also provide an optional multi-purpose ramp and polyethylene link-locks to join workfloor units, both of which can be employed as a useful accessory to the work-floor sump modules. 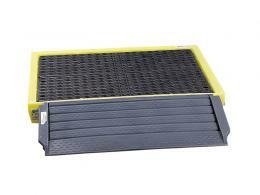 Their low-profile workstation design makes the work-floor sump modules ideal for factory floor use in any workplace. They help to control spills and prevent resulting contamination in a wide range of industrial locations, including beneath drums, heavy equipment, machinery, valves, fittings, and many other containment vessels liable to spillage. Constructed with forklift pockets and designed for easy loading and transportation, the work-floor sump modules are easily maneuvered and mounted by crews and can be cleaned easily, thanks to their heavy-duty anti-slip removable grates. 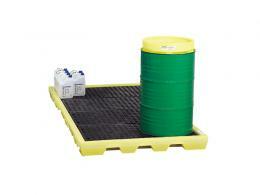 This product will prove useful for anyone who wants a simpler and more efficient way to catch and contain spills. The work-floor sump modules come in yellow and black and are available in a range of sizes to accommodate between two and eight drums, as detailed more specifically in the table below. They are manufactured using tough polyethylene, which offers excellent durability and resistance against rust and corrosion. They can be delivered within 3 working days and we promise to match any price. We also provide a one-year guarantee, so invest in this product today!